Self actualisation is a widely used term and sometimes its meaning is misunderstood or misapplied. What does it mean to become self actualised and is it really possible for a person to attain this level of enlightenment? Well, let’s start with the first question. 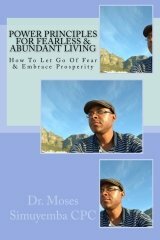 What does it mean to be self actualised? If we break down the word “actualised,” we see that it comes from the word “actual.” Synonyms for the word actual include the following: real, genuine, definite, authentic, concrete, tangible. From these words it is easy to see that the concept has in it the idea of someone becoming their true self or their real self. Potential, then, has a lot to do with self actualisation. If we say that to be self actualised is to become your real self, then the question that arises is “if I am not my real self until I become self actualised then what am I now? Where is my real self? I liken the idea of the real self to a butterfly. A butterfly goes through several stages as it matures into its final form, or real self. First, it’s an egg, then a caterpillar, then a pupa and finally an adult butterfly. From the minute it is an egg it has the potential to become a butterfly. Now to the ordinary or unknowledgeable eye, an ugly looking caterpillar may be just that. But that ugliness is what will eventually give way to beauty. So every stage of the butterfly’s growth and maturity brings it closer to its final form with wings and beautiful colours. It is a similar concept with becoming self actualised. It is a process of maturity to our ultimate form.A process of becoming a person that is as mature as people can possibly get. It is a process of becoming “beautiful” on the inside. That is the difference with the butterfly analogy because whereas the butterfly’s transition is visible to the outside world, the process of self actualisation is an inner process. It is only visible by its fruit – our attitudes and actions. With humans, though, the process is not as simple as that of the butterfly. What usually happens with many people is that they stop maturing when they are just caterpillars or pupae. They do not realise that those stages are not their ultimate form. They do not realise that they can be butterflies. So they go through life living as ugly caterpillars. A few do realise that they can be better people and work to get out of their cocoon and become the people they were meant to be. These are the self actualised people. Self Actualisation – fulfillment of personal potential. Start your journey to self actualisation today. 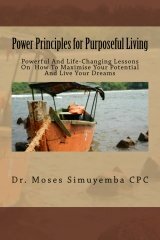 Simply sign up for our newsletter below to download your FREE copy of “Power Principles for Discovering the REAL YOU.” It has many insightful articles on the subject of self actualisation as well things that you can do on a daily basis in the course of your daily affairs to become a self actualised person. Stop living like a caterpillar and become the beautiful butterfly you were meant to be. I promise to use it only to send you Dr Moses Simuyemba.